Things may not always work out the first time but when it does, it appears like a fairytale and seem almost unbelievable. 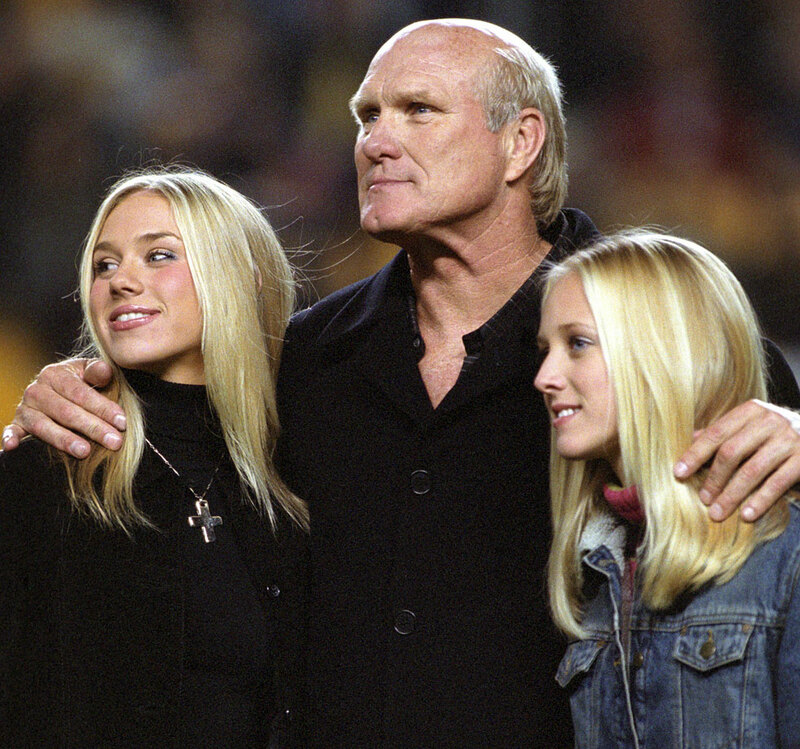 That could be attributed to NFL legend, Terry Bradshaw, who met misfortune on his first three attempts at marriage. However, after he met and married Tammy Bradshaw, he’s proven that four’s the charm and is now living the happily ever after he had envisaged. Learn all about Terry’s Tammy in this post. While it is a popularly held view that Tameria Alice Bradshaw was born on the American soil on October 5, 1961, and belongs to the white ethnicity, the exact place of her birth has remained unknown. Nothing is also known about her early life and family. She is also yet to reveal anything about her educational background. Tammy is not one given to much talk and as such has not really revealed much about herself beside what is obvious. She joined the popularity team after she became the wife of the NFL legend and Hall of Famer, Terry Bradshaw. He is also a part-time singer, an actor and television personality. Tammy is usually seen with him at events, red carpets, and has appeared alongside her famous hubby in a number of television shows. Besides, she has worked in the fashion industry as a model for small organizations and brands. The duo also takes part in charitable causes such as Waterboys which they donated to. Waterboys is Chris Long’s initiative aimed to provide water to drought-stricken African countries. They funded the 19th well and challenged Pittsburgh Steelers to take up well #20. In addition, the Bradshaws have also expressed immense generosity to other charity works such as the Philadelphia protective end, American Quarter Horse Association and recently donated funds for the AQHA Lucas Oil World Championship Show’s grand prize. Marriage demands time, sacrifice, and dedication to make it work. Tammy Bradshaw and Terry have proven beyond doubt that if a relationship fails the initial time, chances are that there could still be a happily ever after. Besides, a fizzled relationship in the past doesn’t determine entirely the effectiveness of a future venture. The couple has both been married more than once; Terry, four times and Tammy had only been to the marital avenue once before she hitched the ride with the NFL superstar. She tied her first connubial knot with David Luttrull in 1983. Five years later, they were already headed for a divorce and eventually had one in 1988. On Terry’s part, this is his fourth marriage. His first marriage was to Miss Teenage 1969 Melissa Babish in 1972 which lasted until 1974. Then, he married Jojo Starbuck, an Olympic figure skater in 1976 and they lasted until 1983. Three years later, he tried marriage a third time. From 1986 to 1999, he was the husband of Charlotte Hopkins, a prominent family attorney with whom he had two daughters, Erin and Rachel. While all these experiences may have taken a toll on Terry, resulting in clinical depression and weight loss, he persevered and tried again. He met Tammy in 1999 and despite the 13 years age gap between them, they hit it off, dated for 15 years and exchanged vows on July 8, 2014. They have remained happily married ever since. Though Tammy Bradshaw does not have a child of her own, she has become a loving and supportive stepmother to her husband’s two daughters. Besides being a loving and devoted wife to her husband and caring stepmother to his daughters, it is not known what she does by way of a career. It could be surmised that her career revolves around her husband’s activities and causes. As such, it could not be determined how much she is really worth. Anyway, she wouldn’t have to worry about money; her husband is worth a whopping $15 million. Tammy Bradshaw is available and active across several social media sites. She can be found on such networks as Facebook, Twitter, and Instagram where she has garnered thousands of followers. Like the many facts that have remained unknown about Tammy Bradshaw, her body stats ranks high. From what is obvious, she stands at an average height, estimated to be around 5 feet 7 inches and has a proportionate weight. She also has a fair and glowing skin which defies her age and is further armed with a wide and charming smile that can melt a heart.